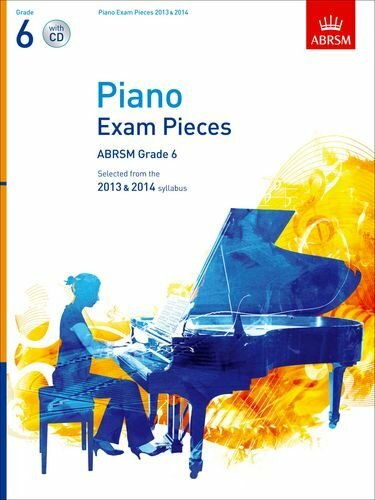 Piano Exam Pieces contains the printed music for nine pieces from ABRSM's 2013 & 2014 Grade 6 Piano syllabus. Includes three pieces from each of Lists A, B and C providing appealing and varied repertoire from which to create a balanced programme for the exam or a concert. Also contains helpful information about the pieces and the exam. All of the pieces on the Grade 6 syllabus have been recorded for ABRSM by leading professional pianists. The recordings are available on CD in this book or as downloads from www.abrsm.org/audioshop.